Attention all non-U.S. residents: Shipping fees are automatically calculated based on order total amount and using USPS International Flat Rate shipping service. In most cases the shipping fee is more than the actual shipping cost but rest assured, I will always get you the best possible shipping rates and will refund the difference to you. I apologize in advance for any inconvenience this may cause. 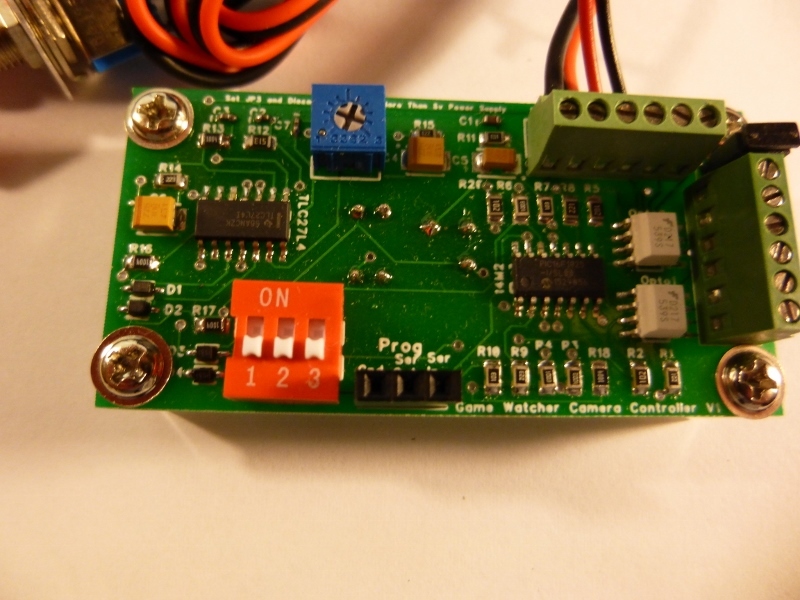 The Game Watcher Camera Controller is a powerful control board with a ton of options all packed in a compact size. Board Dimensions: 1 1/4"x2 1/2"
Features include an Omni-directional PIR that allows the board to be mounted either horizontally or vertically, 3 pole Dip switches for selecting camera types or programing options, 2 optocouplers for running a wide variety of cameras including the standard 3 and 4 wire hacks, the Fast Hacked cameras as well as cameras for Daytime Videos and Nightime Still Photos, can operate on a wide range of input voltages fom 4.5v up to 12v maximum by setting the proper jumpers and comes with a Guide Mount plate that can be used as a drilling template for mounting screws and Fresnel opening so getting the board perfectly aligned is a snap. Due to the increasing number of cameras that are available, not all program options can be listed in the drop down menu. When placing your order please include a message stating what camera you intend to use and what program options you require such as Slave Flash Delay, Day Only, Night Only, Day Video with Night Stills and if that needs night delay for slave flash. 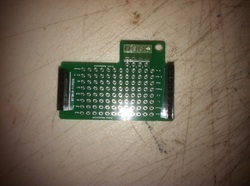 Board will be supplied with either a 3 bay AA battery holder or 9 volt snap connector depending on your power voltage selection. 9 volt metal battery clip sold separately. The newly designed RCDavis SMT Slave Controller is replacing the Slave Blaster and the old RCDavis Slave Controller boards. This new design has incorporated features from both of the old boards into a single board with surface mount technology. You get all 3 flash programs that are selectable by setting the onboard Dip switches, pre-wired PT and CDS, push button ON/OFF switch, voltage regulator circuit, convenient screw terminals for connecting all the necessary wiring and 3/8" standoffs. Operates on 6 volt power supply. 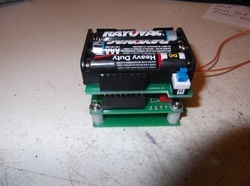 Can be powered by a 9 volt battery if using a 1.5v or 3v slave flash that requires a separate power supply. Use the electret condenser microphone to replace your camera microphone when making a video trail camera build where you want good quality audio. No external power supply is required as it operates on the camera internal power supply. Non-anodized aluminum adjustable case mount allows for up and down adjustment to get your camera at just the right angle for that perfect setup. Requires 9/64" Allen wrench to tighten the adjustment screw. Allen wrench is not included with mount. 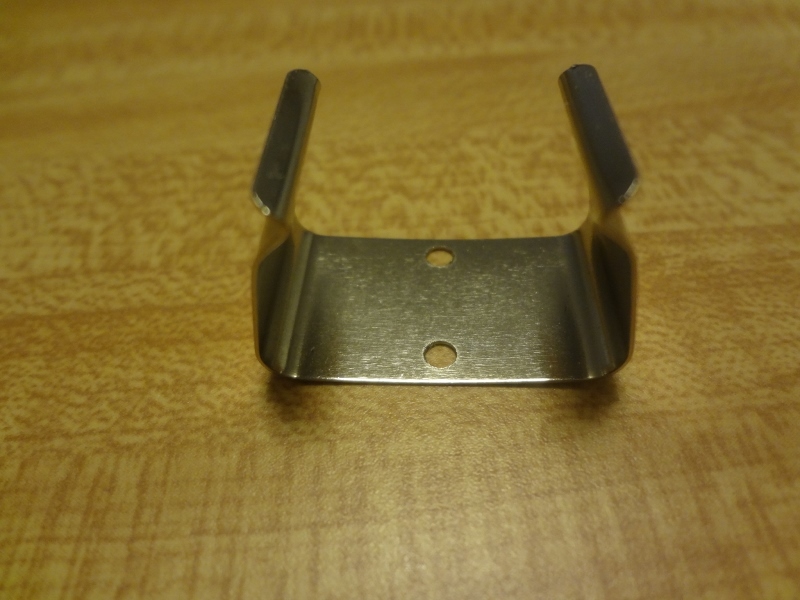 Non-anodized aluminum camera mounts makes mounting your build fast and easy. 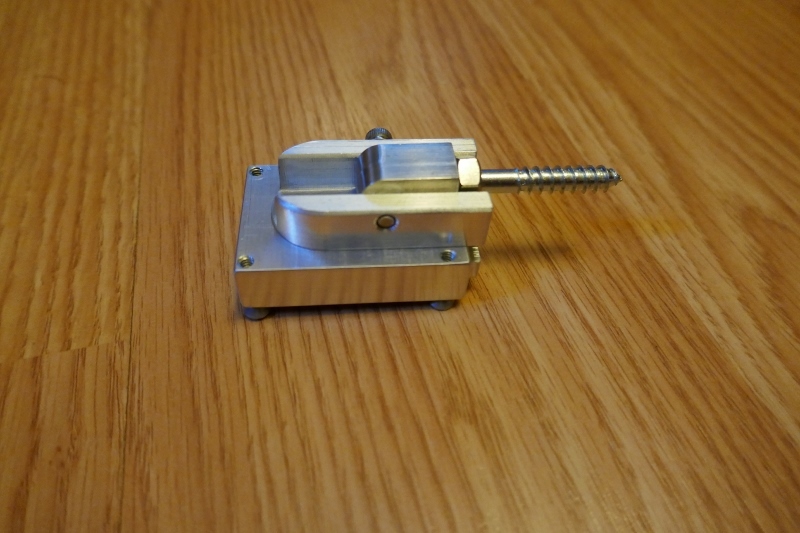 Mount the base to the back of your case with the 4 machine screws supplied with the mount. Screw the lag screw into position on a post, tree, etc. and slide your build into place. NOTE: Check local, state and federal regulations before screwing the mount into any tree. 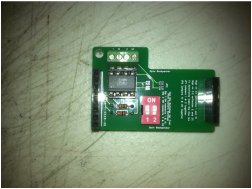 1.5 volt baby slave flash completely hacked and ready to install into your build, internal or remote. 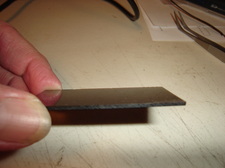 Neoprene sponge replacement rope seal. 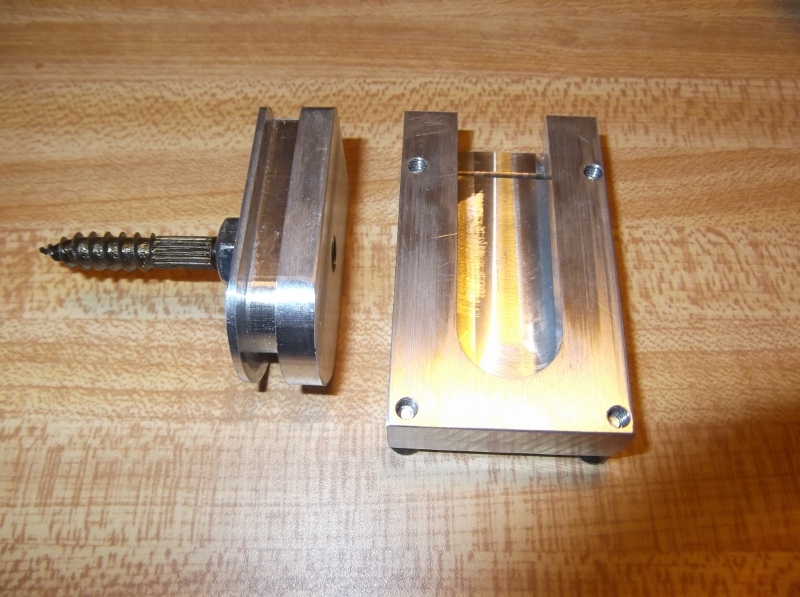 Comes in 3 diameters, 1/8", 3/16" and 1/4". 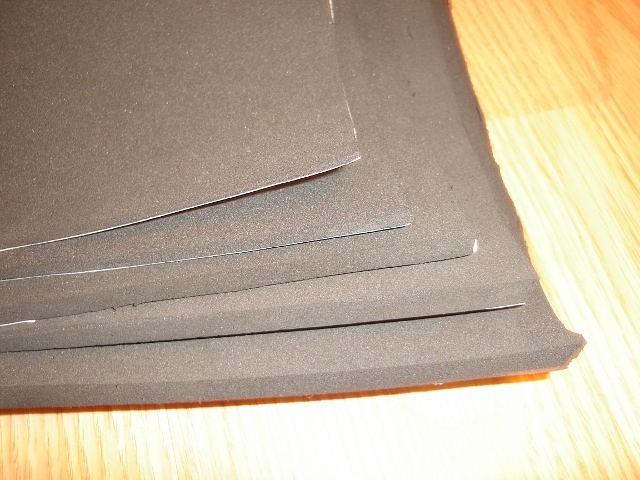 For Wally cases use a layer of 3/16" topped by a layer of 1/4". Servo connectors for connecting your camera hack to the control board. All servos are wired with 30awg multi-strand wire on the camera side and 28awg multi-strand wire on the control board side. This is the exchanger that is used in the Samsung A503 for daytime full color photos and night infrared photos. The control boards needed are the Safari Camera Controller, the Exchanger Backpacker and the Flash Backpacker. Select the Exchanger/Flash Programming from the drop down menu when ordering the Safari Camera Controller. Replacement chips for the old version RCDavis Slave Flash Controller that did not have the dip switches for selecting the flash programming. Comes in Single Flash, 2 Flash or 3 Flash programming to match the camera you pair your slave flash with. 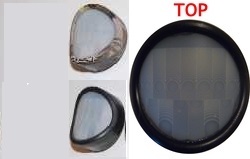 In order to better serve the customers of both RCDavis Game Camera Solutions and Snapshot Sniper, Gary and I have combined forces to provide you with the HPWA Fresnel lenses. Now you will be able to order the HPWA Fresnels right here at RCDavis Game Camera Solutions, this will help our customers by saving them money on shipping fees. Only the white lenses will be available here as those are the most popular styles. If you require the black lens HPWA Gary still has those available at Snapshot Sniper. 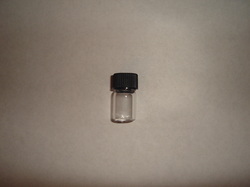 3/8" standoffs are needed for use with the HPWA lens. This kit includes the Safari Camera Controller with Easy Mount, 3/8" standoffs, HPWA Fresnel lens in your choice of either Black with white lens or Camo with white lens, , Opto Backpacker, Flash Backpacker, 2 wire microphone and AAA or AA battery holder for Safari power supply. This kit provides everything you need for a Fuji build using the JX or JZ cameras and the Olympus VG or VR series cameras for daytime video and night stills with a slave flash. The Olympus VG140, VG170, VG190 and the VR 340 and VR370 use the same programming. Simply select the programming needed for your camera from the drop down menu when ordering. Please Note: You will need a separate power supply for your slave flash. Due to having issues with the amped mic that was originally being supplied with this kit I have made a change to the 2 wire mic which works really well and does not need a separate power supply in order to operate. Battery holder for Safari board power supply and standoffs are included, just select your choice for each in the drop down menu. HPWA Fresnel lens or Flat Fresnel lens not included and should be ordered separately if needed. 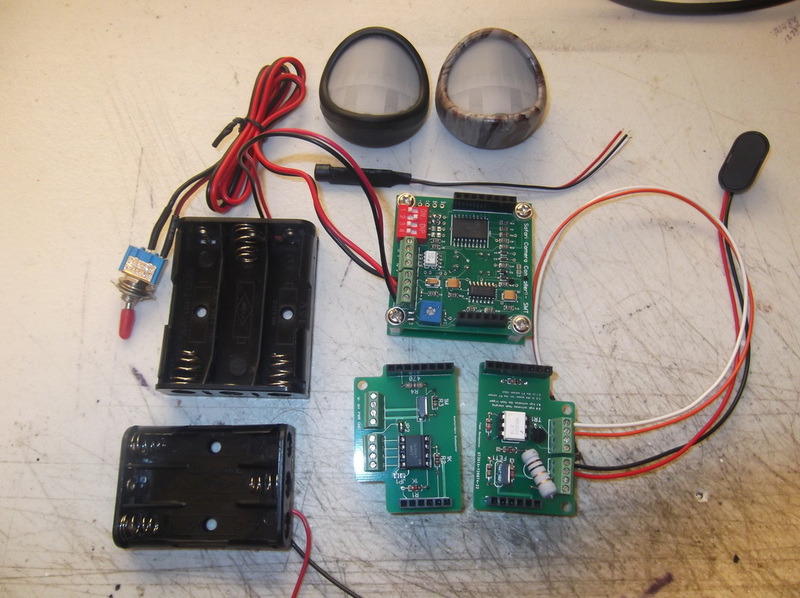 The Safari Camera Controller is an awesome camera controller board by itself but now you can pair it with this remote motion sensor system for even more flexibility. 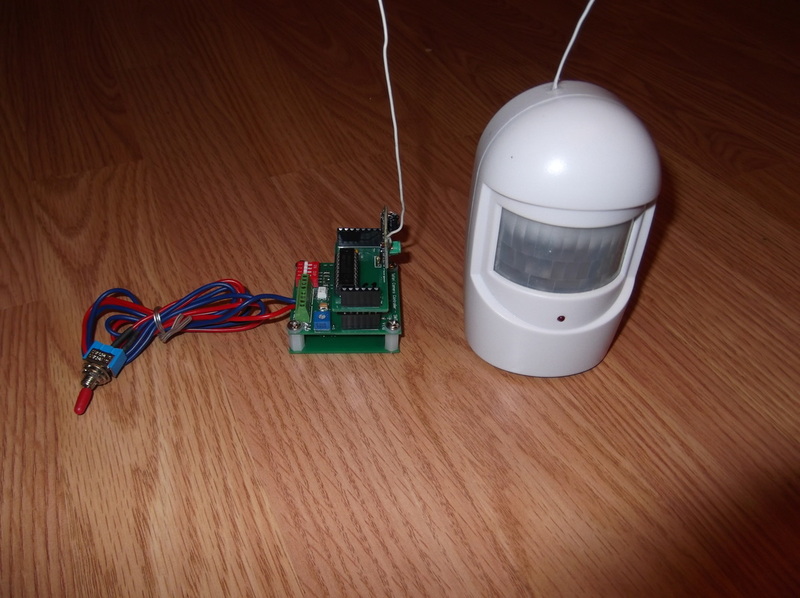 The Remote PIR (motion sensor) can be placed anywhere that you want as far as 100 feet away and when motion is detected it transmits a RF signal back to the Safari board with Receiver Backpacker to trigger the camera to come on and take a picture or start video, depending on what your setup is used for. 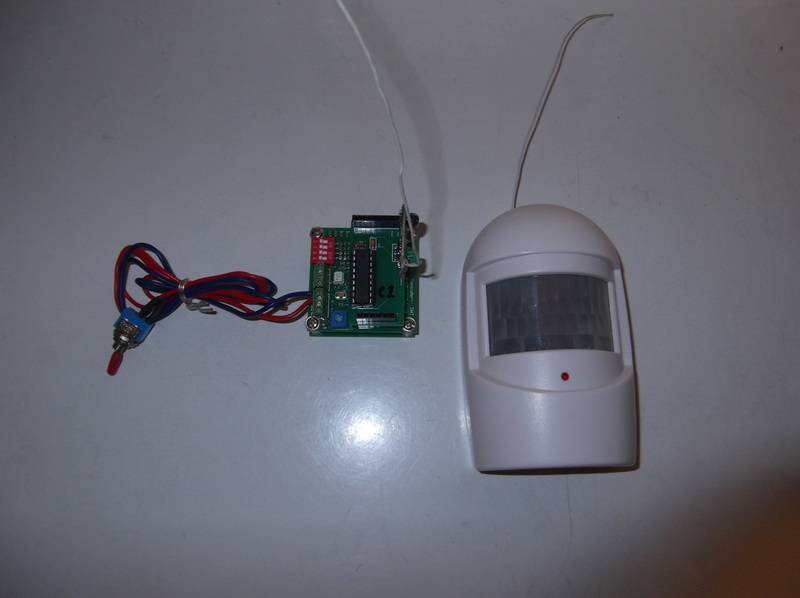 With this package you are getting motion detection from 2 angles, the direction you have the Safari board aimed and the direction that the Remote PIR is aimed. Lots of different program options available so please contact me with special request programming if what you need isn't listed in the drop down menu. 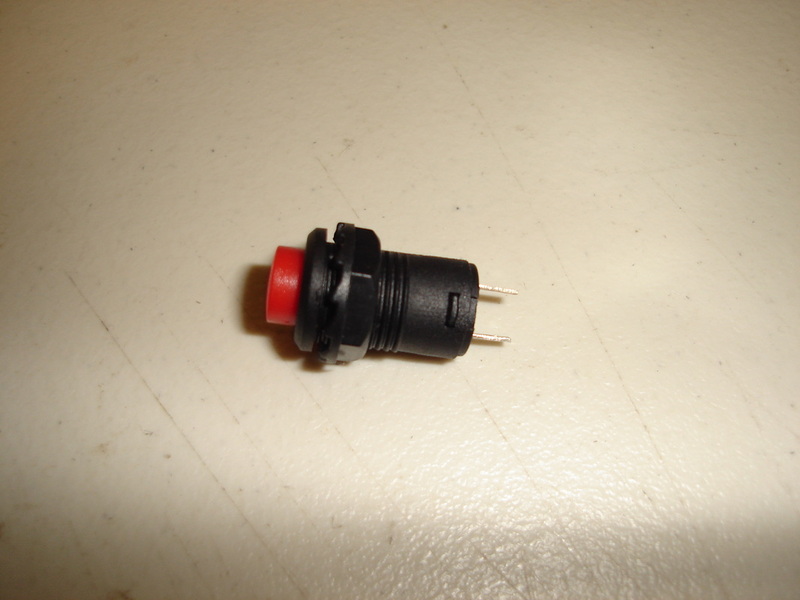 Remote PIR requires a 9 volt battery which is not supplied with the unit. Additional Backpackers may be required depending on what program option you need. Please contact me if you need assistance in determining what is needed for your build. The Safari Camera Controller is ever evolving and new programs are being developed for use with more and more cameras. It would be almost impossible to include all programs in the Program Options Drop Down Menu so if you don't see a program option for your camera please contact me before ordering to inquire about a specific program needed. Adding new programs is one of my goals so I can continue to provide the homebrew community with a what they need and deserve to further the hobby and to keep it growing. Please be aware that some of the custom programs require the use of specific backpacker boards as well as the Safari Camera Controller. Contact me for a complete list of the boards needed and the required wiring diagram for your application. A new breed of camera controller with a wide range of additional add-on Backpacker boards. 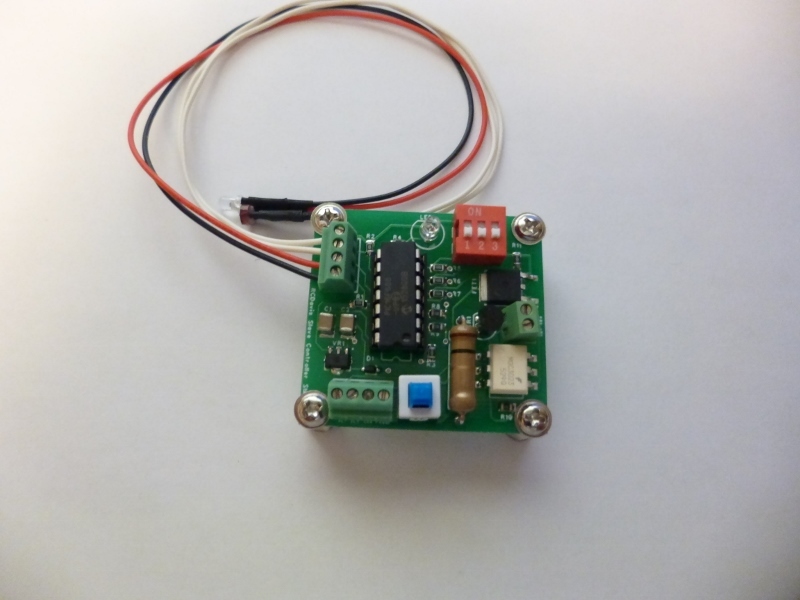 Features include a selectable 4.5 volt power source meaning you can use anything from AAA, AA, C or D cells to run the board or go with a higher power source when using the add-on Power Backpacker board. Features include a toggle ON/OFF switch, Trail or Feeder modes, Day Only or 24 Hour operation and camera type settings to match most cameras. Safari Camera Controller comes standard with the "NEW" Easy Mount Base Plate. The Easy Mount takes the guess work out of positioning the Safari board in your build case and makes the perfect drilling template for standoff and PIR hole locations. Just select the proper standoff length required from the Drop Down Menu when placing your order. ​DSLR Day/Night Video With Array programming requires the Power and Mosfet Backpackers. Additionally you will also need a Remote Shutter release cable and an IR Video Remote both of which I can supply if needed. Just contact me with the camera model that you will be using and I will provide you with the purchase price for those items. Sony Nex Day/Night Video With Array requires the Mosfet Backpacker but can also utilize the power Backpacker if you choose to run both the Safari board and the lighting array from the same power source. 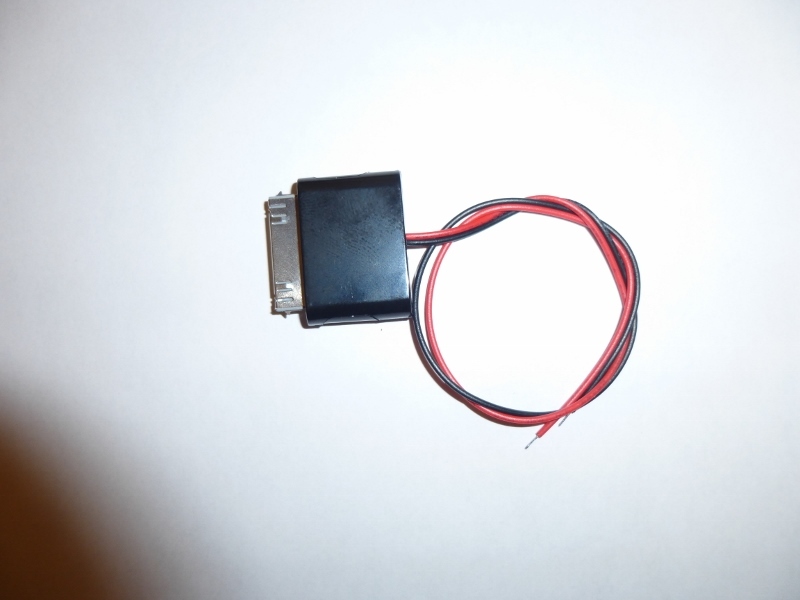 Add a 2nd motion sensor to any Safari Camera Controller V1.1a with this neat little setup. 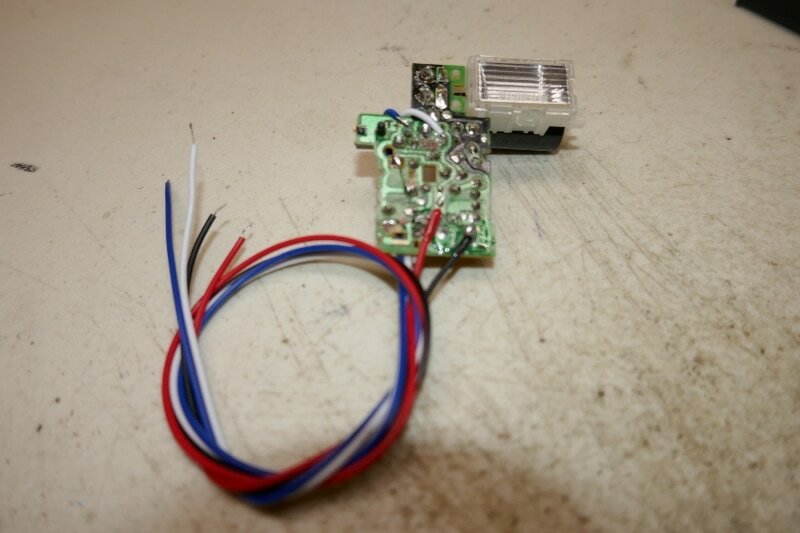 Simply set the solder jumper on top of the Safari board marked as JP3, install the Receiver Backpacker on the Safari board, put a 9v battery in the Remote Motion Sensor unit and you are ready to go. No code changes needed for this to work. Now you can have a 2nd motion sensor that can be placed at any angle you need it to activate you camera giving you 2 points of detection. The Remote Motion Sensor comes with a push button ON/OFF switch installed on the front so you turn it on and off as needed without having to constantly remove the back cover to install or remove the 9v battery. The red LED on the front of the unit will light up whenever motion is detected and also acts as a low battery indicator. When the LED stays on constantly the battery needs to be changed. Unit comes in basic white or flat black. 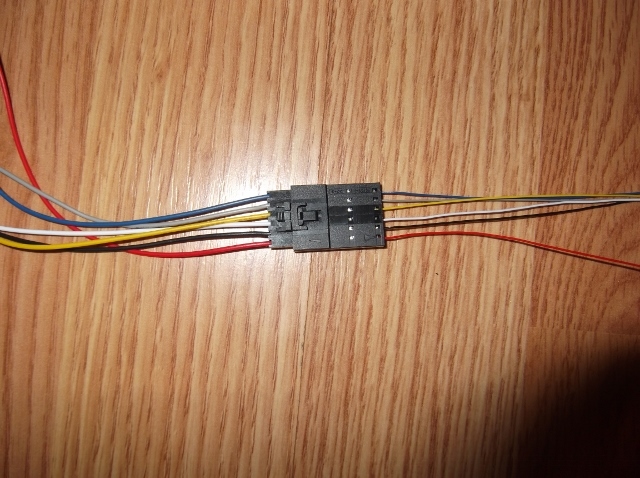 Pre-wired bus connector for GoPro cameras with the bus port. 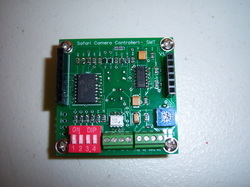 Connects your GoPro camera to the Safari Camera Controller board for taking still photos, time lapse photos or videos. Red wire connects to terminal 'P' and black wire connects to terminal 'PC'. Only works with older GoPro models Hero HD and Hero 2.The connector locks in place when connected to the camera and has release tabs on the top and bottom of the connector. Push in on the tabs to disconnect the connector from the camera. Camera must be set to One Button mode. I have developed a hack for the GoPro 3 Black & Silver versions that will allow that camera to be used with the Safari Camera Controller to take day videos and night videos with a lighting array. Please contact me for more information if you are interested in the required information and boards needed for use with the GoPro 3 Black & Silver. 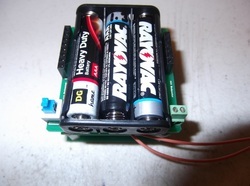 This backpacker is designed to allow for the Safari board power supply to be mounted directly on top of the Safari board and uses AAA batteries as the power supply. It is available in either a latching push button ON/OFF type switch or the traditional Safari toggle ON/OFF switch for greater flexibility of choosing where to mount the switch either inside your build case or as a through mount for external access. Safari board with AAA Power Backpacker measures 1 15/16" wide x 2" long x 1 1/2" tall when using 3/8" standoffs with the HPWA Fresnel, 2 1/8" tall when using 1" standoffs with Flat Wide Angle Fresnel. Add an internal slave flash to your Safari board build by using the Flash Backpacker. Comes complete with pre-wired PT, onboard 1 ohm 2 watt power resistor and screw terminals for connecting trigger wires, slave flash positive and negative wires and your slave flash power supply. No more driver boards needed to run your IR cut filter exchangers. 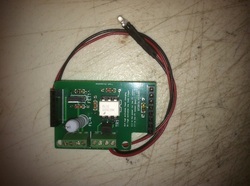 Simply connect a 9 volt battery to the snap on connector provided with this board, connect your exchanger power wires and either order the Safari board pre-programmed to operate the exchanger or download your own program. 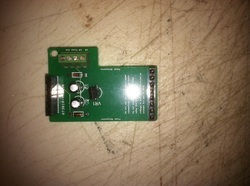 Run your video lighting array and audio mic with this little add-on board. Coupled with the Power Backpacker you have a complete package to fit your needs. Simply download your programming and away you go. Have fun putting together a dual camera build and using the Opto Backpacker to control the Power and Shutter functions of a second camera by creating and downloading your own program to the Safari board or use it to operate a Fast Hack Sony S600 or S40 by choosing the Fast Hack programming when you order your Safari Camera Controller. Convenient Dip switches on the Opto Backpacker make it possible to change camera settings without getting the error message when your fast hacked camera is connected to the board. Use the Power Backpacker when more than 4.5 volts isn't enough power to run all of your accessories. Connect up to 14 volts to run lighting arrays, audio mics, etc. PLEASE NOTE: when using this add-on board DO NOT connect your power supply to the main Safari Camera Controller board as it will cause permanent damage. Connect your power supply to the Power Backpacker ONLY. 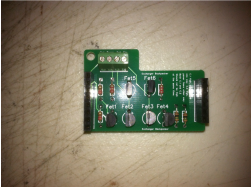 Create your own circuits using this add-on board. All Power, Ground and Picaxe corresponding pin locations are clearly marked on the board making it easy to keep track of what you are doing. 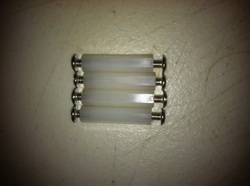 1" or 3/8" hex shaped threaded nylon standoffs and screws. Set of 4 standoffs with screws. ​Wide angle detection zone of 110 degrees. Drill 1" hole in your case and center the lens. Affix in place and use 1" standoffs and screws sold separately. 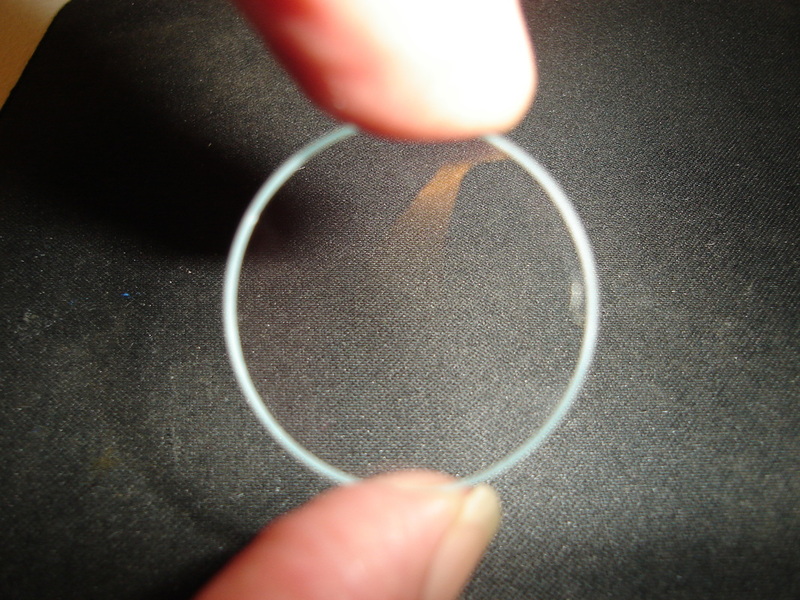 It is recommended that you seal around the Fresnel lens opening with Goop or a similar product to avoid any leaks just as with any other Fresnel lens. 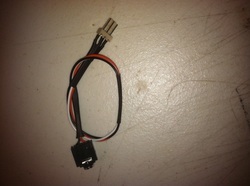 ​Use this handy little cable to connect your Picaxe program cable to the Safari board or Safari/Backpacker combo so you can download your own program to the Safari board . ​Refer to the Safari and Backpacker info page to see a picture of how to connect the Extension cable to the 8 pin header for downloading programs. 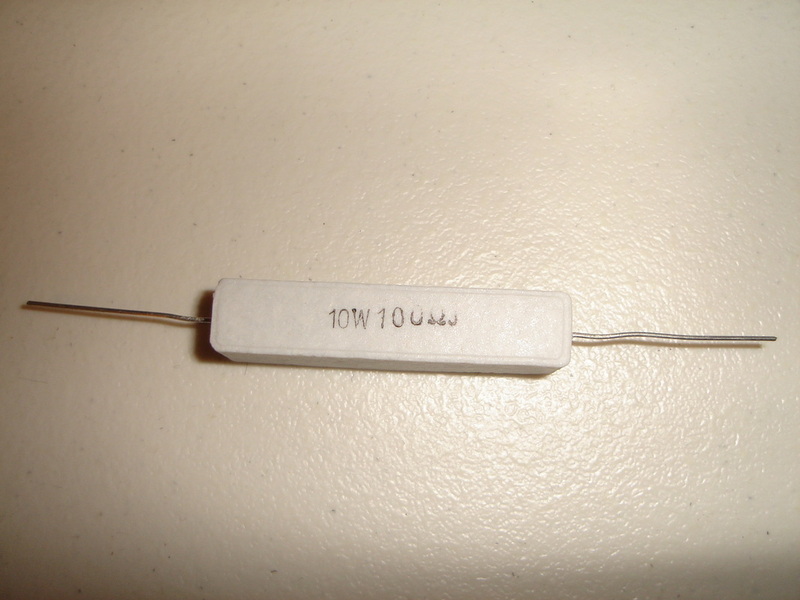 ​AAA, AA or C 3 bay battery holder with 6" pre-tinned wires. 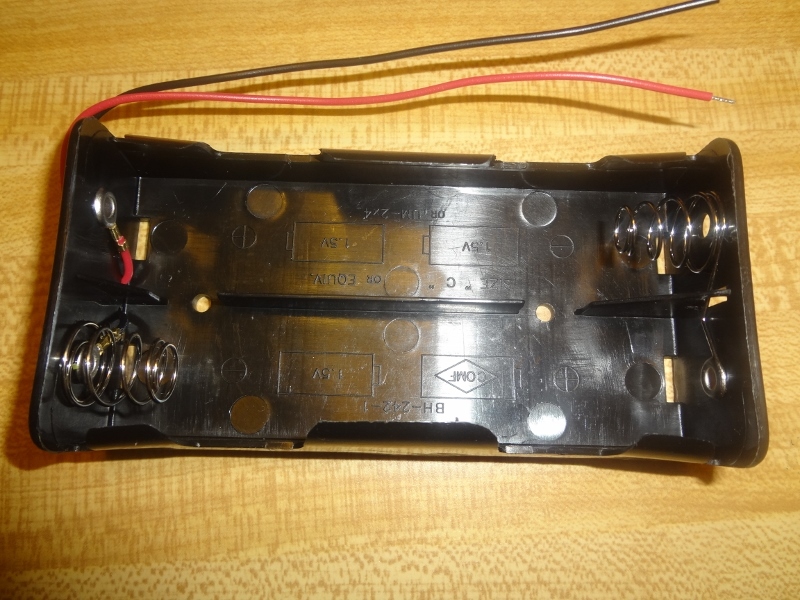 ​Select from AA, C or D cell 4 bay battery holders with 9 volt type snap connection. 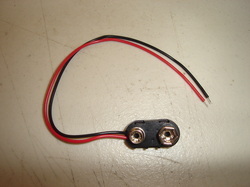 Quad C cell battery holder with 6" wires. 2x2 style. 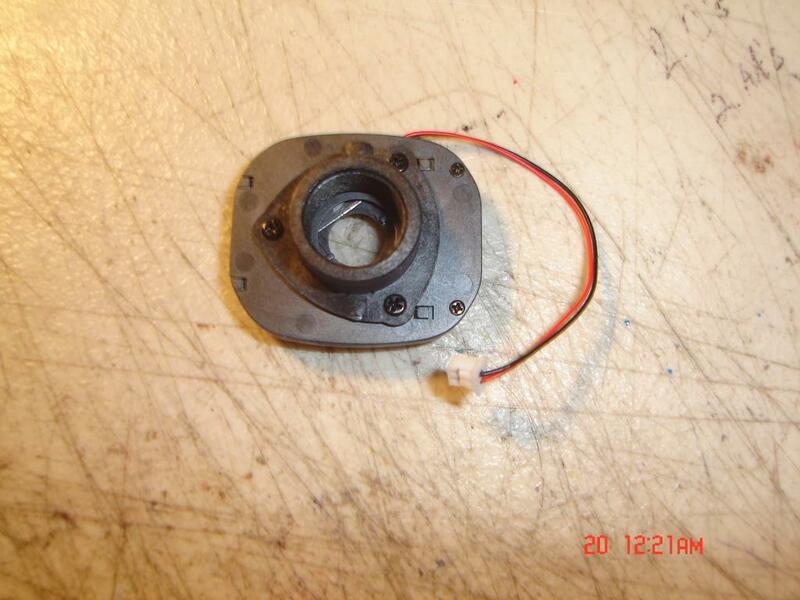 Replacement CDS (day/night sensor) or PT (phototransistor) for your remove slave flash build. Sensors come pre-wired in 10" or 20" lengths. The same PT (phototransistor) is used on the Flash Backpacker. ​1/4" x 5 3/4" section of Loc-Line modular hose. 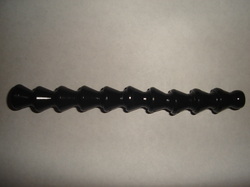 Just what you need to make your remote slave pigtail longer than the standard pigtail length. 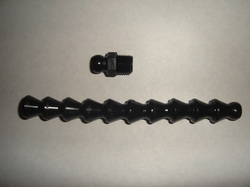 ​1/4" x 5 3/4" section of Loc-Line modular hose and 1/4" NPT Loc-Line connector. Perfect for making pigtails for remote slave flash units. 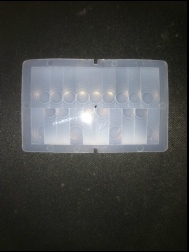 ​Comes with screw on plastic cap with foam liner. Perfect size for connecting to Loc-Line modular hose for remote slave flash applications. Choose the size needed from the drop down menu to the right. Special sizes available for your specific needs. Contact me with the size needed for pricing and how to order. 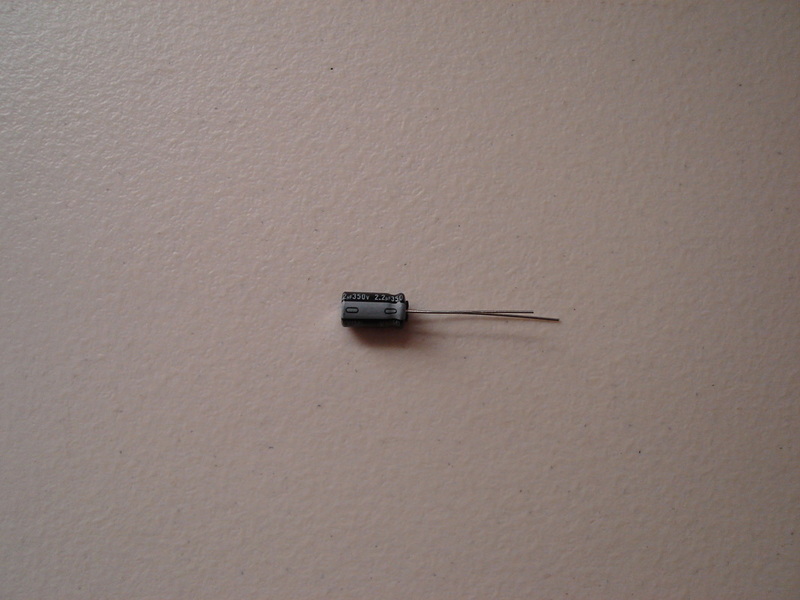 ​Replacement capacitor for the Samsung A503 digital camera when doing the capacitor modification to increase camera speed and reduce battery drain. 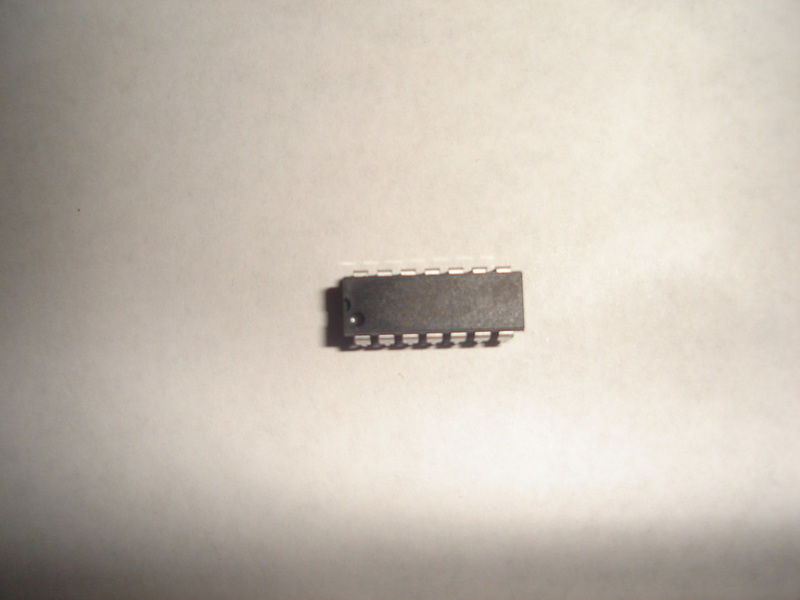 Also can be used to replace the capacitor in other cameras such as Panasonics. 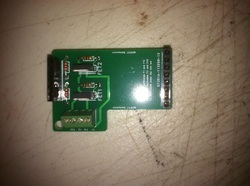 ​Used as an external power switch for camera and slave controller boards. 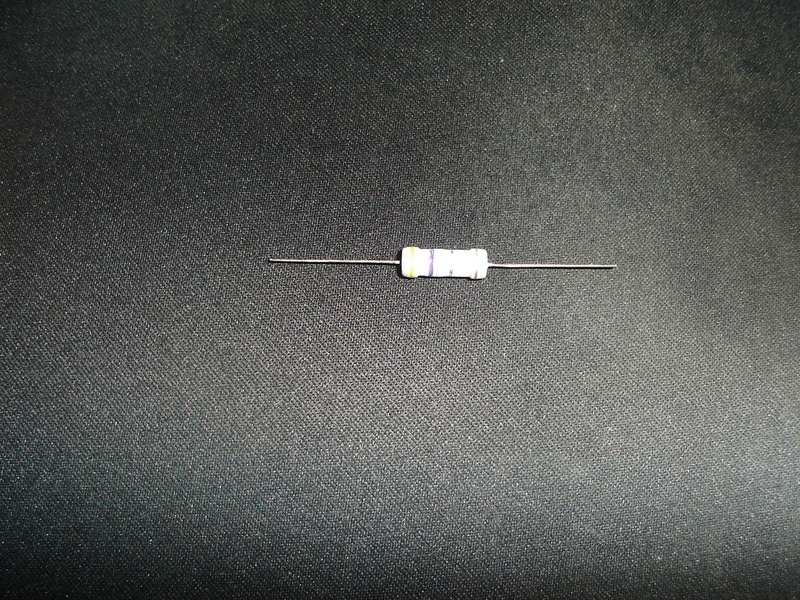 470K resistor is used for modification of the Vivitar 2800A board to disable the auto off function. It is my opinion that this part of the modification is not needed since the Auto Off feature does not apply when using a slave control board to operate the slave flash. ​Used to discharge the high voltage of flash capacitors before handling and performing modifications to your slave flash units or cameras. ​Replaces the 0.47 ohm resistor when using a 6 volt SLA power supply instead of alkaline or NiMH batteries.This resistor is now provided as the standard component with both the RCDavis Slave Controller, the Slave Blaster and the Flash Backpacker control boards. 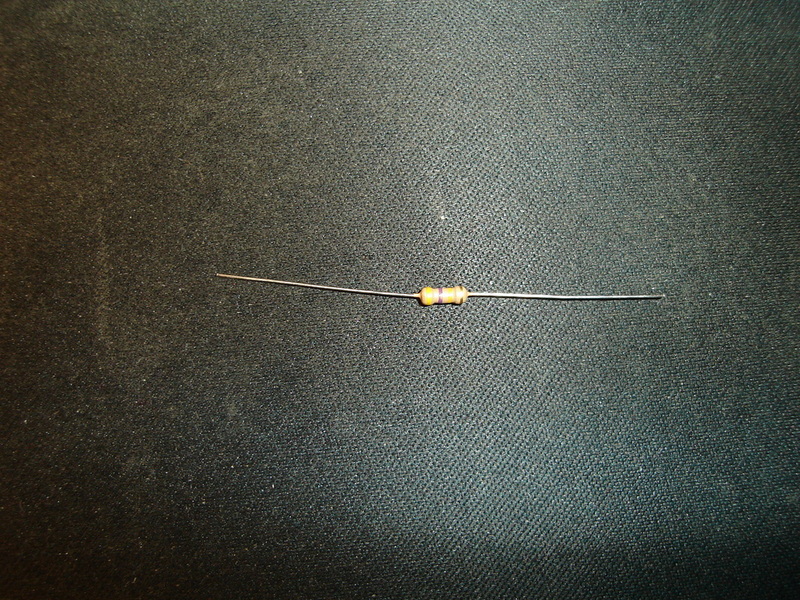 Older versions of the RCDavis boards will require this resistor if using a 6Volt SLA for your power supply. 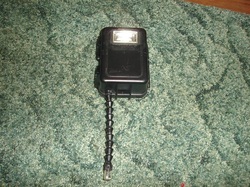 A completed remote slave flash unit that is ready to deploy, just add batteries. These units are available in the Vivitar 2000 Series (uses either 2000 or 2800 flash boards) or Vivitar 3700 series modified flash unit for light source. Built in a small watertight case and comes complete with pipethrough that will accept up to a 3/8" locking cable for security. 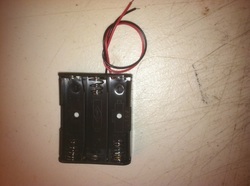 When placing your order please specify the battery holder size you will require, AA or C cell. Also indicate whether the unit is to be white flash or infrared and choose the paint style you prefer. Please allow 2 week lead time when ordering.